Rival Schools…..Best School System Ever! In 1998, Capcom blessed the Playstation with a game that I would never forget. 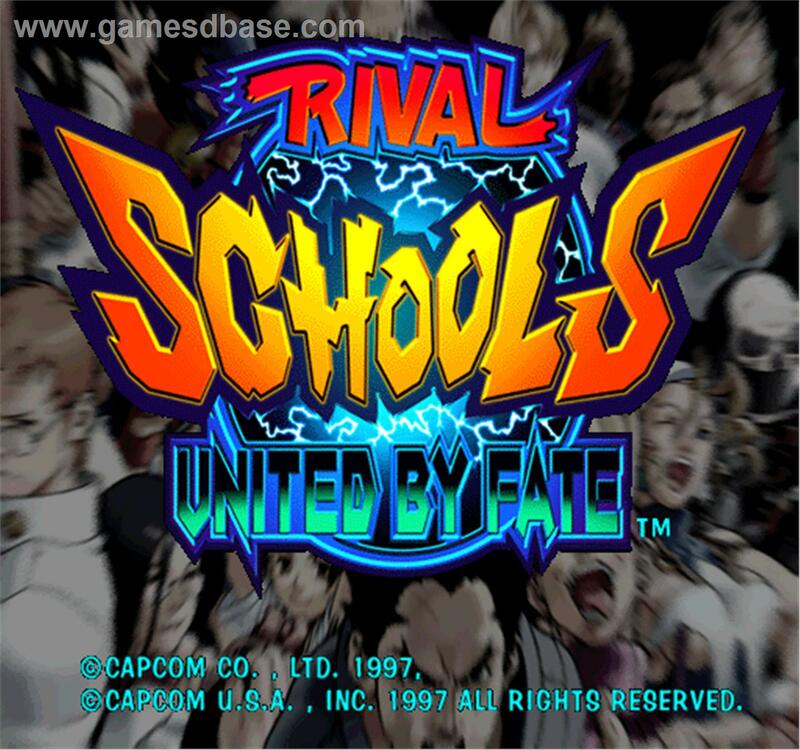 That game was Rival Schools, a new addition to their storied fighting library. It was very similar to Marvel vs Capcom in theme, yet VERY different in nature. Everything about the game was just slightly different from the usual Capcom offering at the time, and it made the game SO much better. Let’s reminisce. The fighting system only used 4 buttons instead of the familiar 6 button system. Fights were 2 vs 2, but you couldn’t switch at will like the vs games. Instead, you could call in your partner for team attacks. These attacks varied from damage dealing super moves to healing moves. After each round you had the option to switch to your teammate or keep the same character for the next round. If I remember correctly, the team moves would sometimes change if you were using the other character. So even though the team was the same, initiating the team moves with the second character may give you a completely different move. Nice touch. Rival Schools also had air combos, tardy counters (lol at the name) and attack cancels. It was a simple fighter, yet the combat felt fast and fluid. Pretty eclectic cast here. Note Sakura in the corner. The game was 2 discs. The first disc was pretty much just the arcade game ported. The second disc was called the Evolution disc. It added a host of mini-games based on some of the students favorite activities. The plot was pretty silly, and it fit the game well. A rash of kidnappings from local high schools in the game’s Aoharu City prompted the fighters to investigate. Everything plays out through cut scenes between matches. You eventually find out that Justice High is responsible, and the game culminates in a showdown with Raizo the principal. Well, unless you fulfill certain conditions. In that case you fight the real mastermind, his nephew Hyo. The story wouldn’t reveal itself unless you selected two characters from the same school. Otherwise single player mode basically functioned as an Arcade mode. Opponents were also predetermined if your teammates were from the same school. Otherwise they were randomized. Teamwork makes the dream work, and the opponent hurt. The thing I remember most about this game is its personality. Watch the video and look at those team attacks. They are quirky, and they are AWESOME. Most of all, they play into the characters personalities. I feel like that is missing in some fighters these days. Everyone’s so angry in your typical fighter because there’s so much at stake. In Rival Schools, the characters seem like regular people who just happen to know how to fight. It was very refreshing at the time, and its sorely missed now. I would recommend anyone who has never played this game find a way to do so. It’s a really slept on Capcom gem. The mix of solid fighting mechanics and quirky characters struck a great balance. It’s been almost 16 years since this game entered our lives. Capcom would do well to give the fans an HD remake, or a new entry into the series. A whole new generation of fans could fall in love with it, and those familiar can relive those high school glory days. When’s Marvel [Gonna Stop The Arguments]? ← XBox Off? Investors See XBox Division As Non-Essential?